This is a TV that makes everything look great. Your large screen images will appear crystal clear thanks to its amazing resolution that is almost 4x the resolution of 1080p for native 4K content, as well as the Tru-4K Engine Pro which upscales content over a multi-step process to improve everything else. LG’s IPS 4K panel ensures that it won’t lose contrast and color consistency no matter where you sit while watching this TV. Furthermore, LG’s webOS Smart TV platform makes accessing content such as YouTube and Netflix intuitive and fast, so you are provided with more time to enjoy your amazing TV. This model from LG is more like a computer mounted on a wall than anything you would find in the antennae and tubed history of TV. The days of hazy oscillating pictures and aluminum-foil extensions are over. Now, we have precision-crafted TV sets that boast on-board operating systems as well as 4K Ultra-HD display able to stream whatever program you wish to watch. The LG Electronics 55UF6800 is really beautiful and powerful TV, but anyone who considers buying it will probably ask themselves is it worth buying. This TV is on the middle-end of LG’s models today, and the price definitely reflects that. LG has earned our confidence to the point where we can trust it to make a middle-range TV which can compete with most people’s high-end TVs. This is a quality TV set for sure, and all your favorite shows will really come to life in your entertainment center or on your wall. It lacks some of LG’s cutting edge features, yet it is incredibly powerful and beautiful for a mid-range TV from a high-end TV manufacturer. 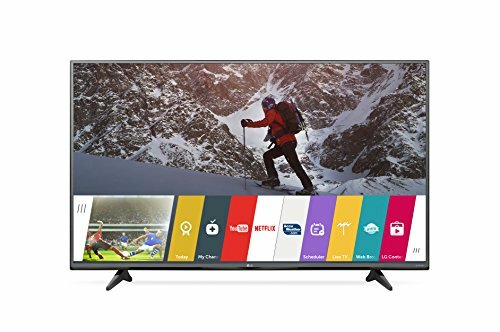 If you have got some space on your wall, and are in the market for a new great TV, you should definitely consider purchasing this LG’s model. Not so long ago the 1080p resolution struck the ear as the amazing, gold standard in HD display. But this year, nearly every new TV from LG, including the LG 55UF6800, have surpassed 1080p to bring us 4K Ultra HD, with nearly quadruple the pixel density of the Full HD. The picture is truly amazing at this level. Also, with HEVC decoding, Amazon Prime, Netflix and other streaming platforms will appear in 4K as well. Tru-4K Engine and IPS 4K panel are the technologies responsible for the amazing picture performance of this TV. This is truly powerful combination to provide amazing 4K picture quality. Tru-4K Engine is a fantastic picture engine which becomes a mainstay of 4K TV from LG in recent years, whilst 4K panel is this company’s proprietary panel technology which has amazing performance to produce superb picture quality with more vibrant, clearer color, and sharper detail than standard LED panel. Furthermore, LG’s IPS 4K panel is designed to maintain the amazing color and contrast displayed from side viewing angle as well. And this is why you don’t need to sit in front of the TV to get the best picture quality, since it will look great even if you are watching it from side angle. However, unlike some of the LG’s similar models, the LG 55UF6800 doesn’t have Tru-Black Control and Tru-Color Generator technologies. Even so, anything that is displayed on this TV’s 4K screen still looks great. This model features TruMotion 120 technology which is quite satisfactory but not the best possible. You won’t notice much of the motion blur while watching fast movies, sport events, or even playing games, but it might be noticeable in certain conditions, so be aware of that. It was only last year that LG introduced its webOS 2.0 platform, and this year every television LG is releasing will come equipped with this platform. Since LG is sure that the future of television is internet distribution, it provides you with all the tools you need in order to integrate your streaming accounts to TV without the need to fuss around with laptop and numerous cables. Many streaming sites such as Netflix, YouTube, Amazon Prime, and Spotify are now available through this TV. This operating system is powered by a powerful quad-core processor.